This bird routinely feeds at feeders in Santa Cruz County near Rio Rico, AZ. 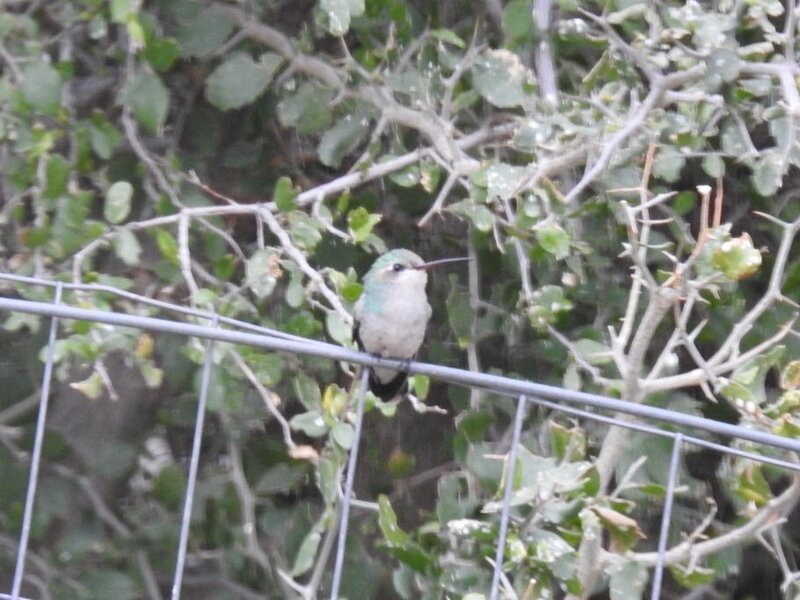 Is it a female Costa's Hummingbird? Thanks for your help. I would lean to Black-chinned female due to the dirty grey cap, the eyeliner and the black tail feathers.The cap on a Costa’s would extend down over the eyes . 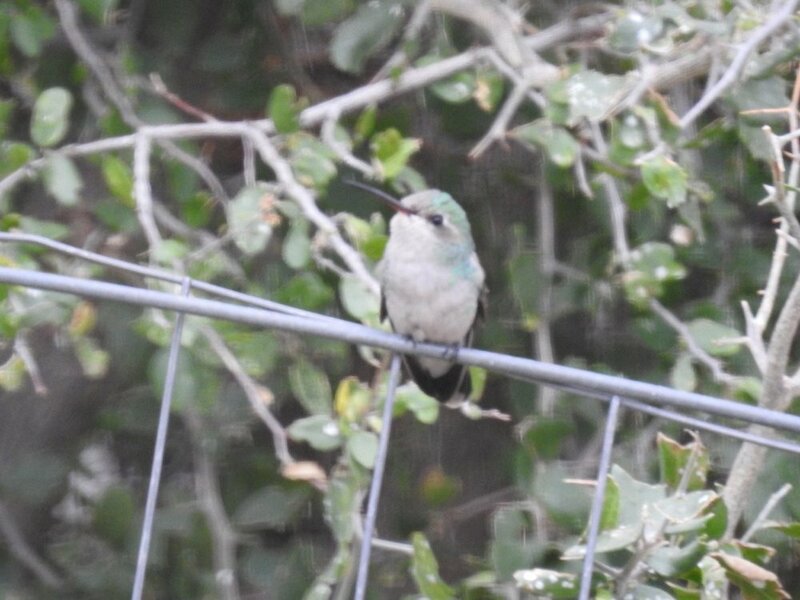 Red on bill, white stripe behind eye, gray belly- female Broad-billed Hummingbird. I stink with hummingbirds and am almost happy we typically have just one here in NW Arkansas... been watching this conversation and love how there are three different possibilities so far. I decided to go take a look at all three and a few others... and after looking at some ID marks on them I'll agree with broad-billed.